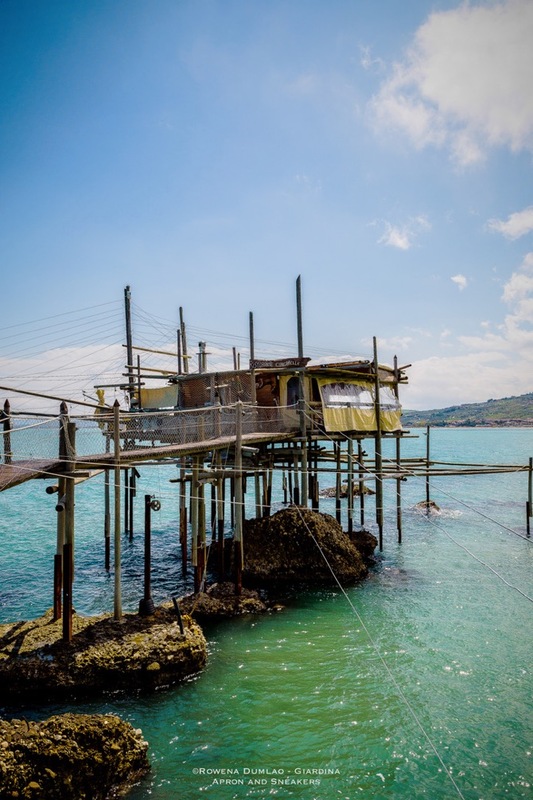 There's a number of them located in the 70-kilometer stretch of Costa dei Trabucchi (Trabocchi Coastline) from Ortona to San Salvo in the province of Chieti in Abruzzo, as well as in the Gargano area of Puglia and they have a history of more than two centuries in the zone. 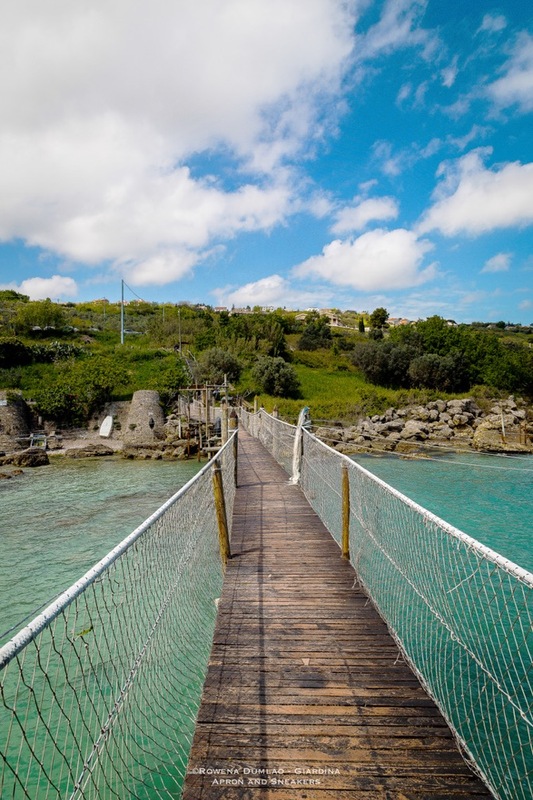 It is a stretch of coastline for its natural beauty and for its diversity with each town maintaining its own traditions and characteristics. 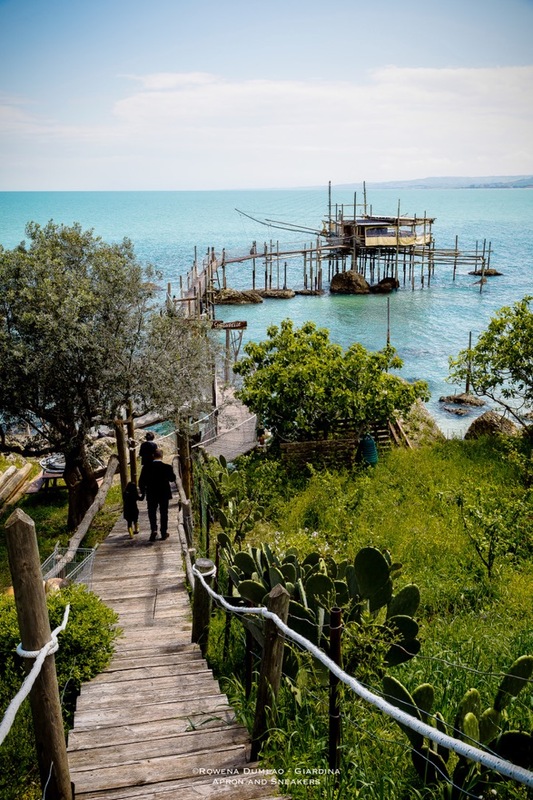 Trabocco Cungarelle is located along the coastline of Vasto Marina, the beach area of the town of Vasto. 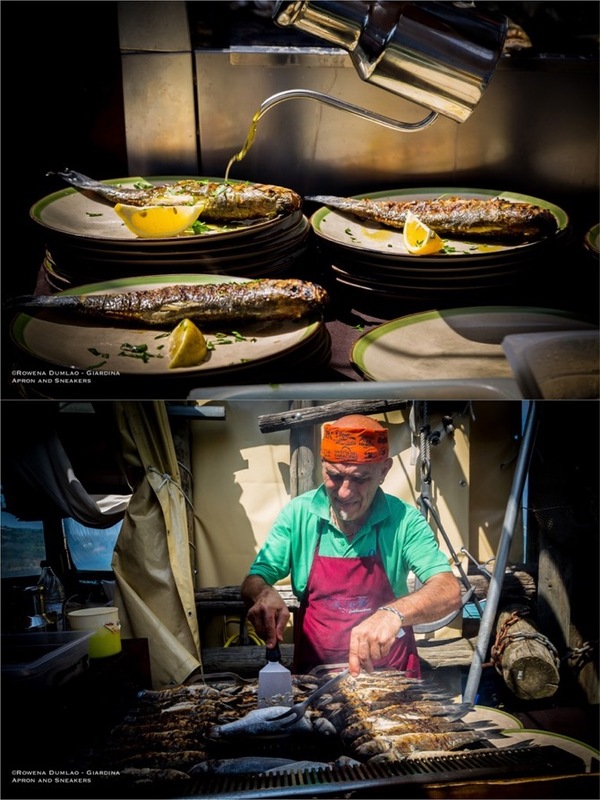 It takes its name from its location along the stretch of coastline in the local dialect. 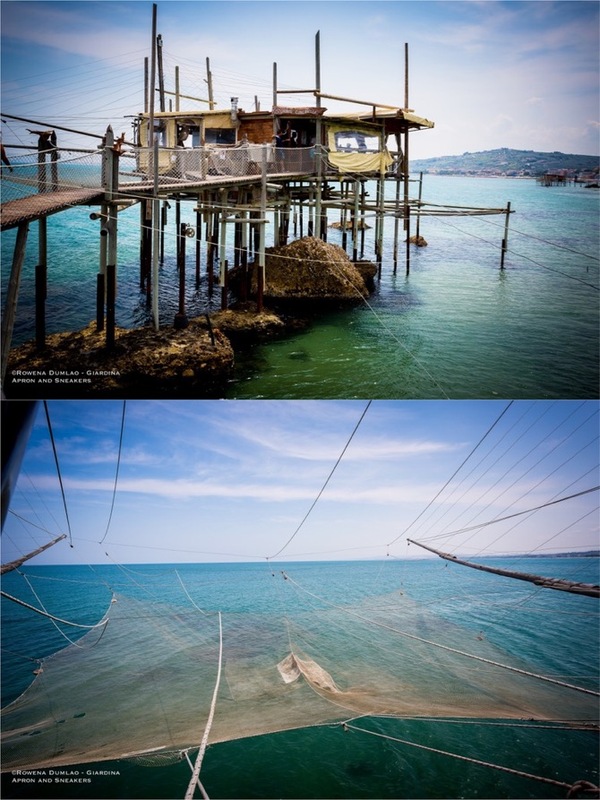 It was built in 1938 by the Veri Family for Luigi Ialacci and his son Umberto, who are both fishermen. 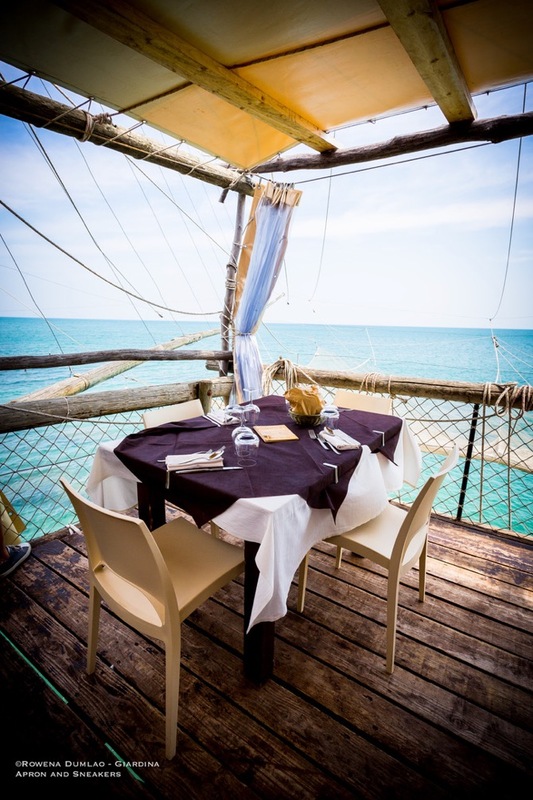 Afterwhich, it changed hands and was left in disuse and abandonment until 2006 when Luca Conti, along with brothers Luca and Mirko Di Nanno reconstructed it. 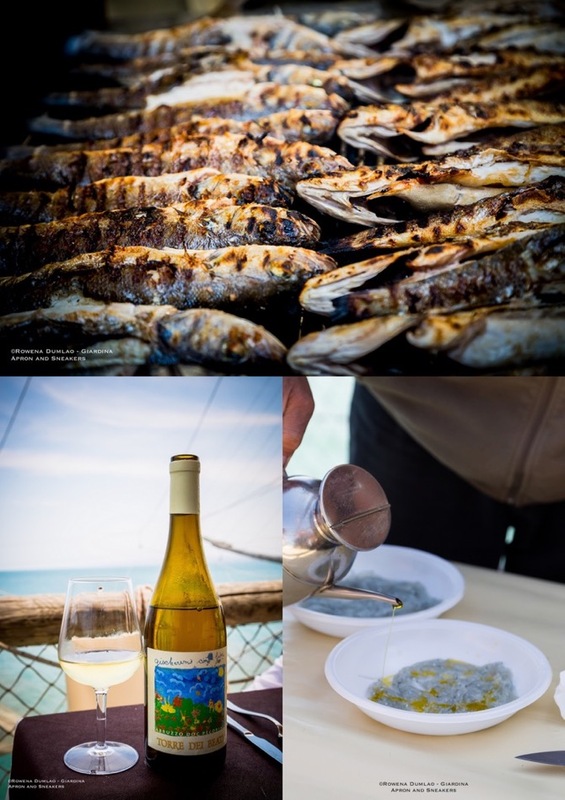 Finally in 2012, the trabocco was expanded went into business as a restaurant with the kitchen guided by Chef Bernardo Suriani while still maintaining the original functionality of a working trabocco. 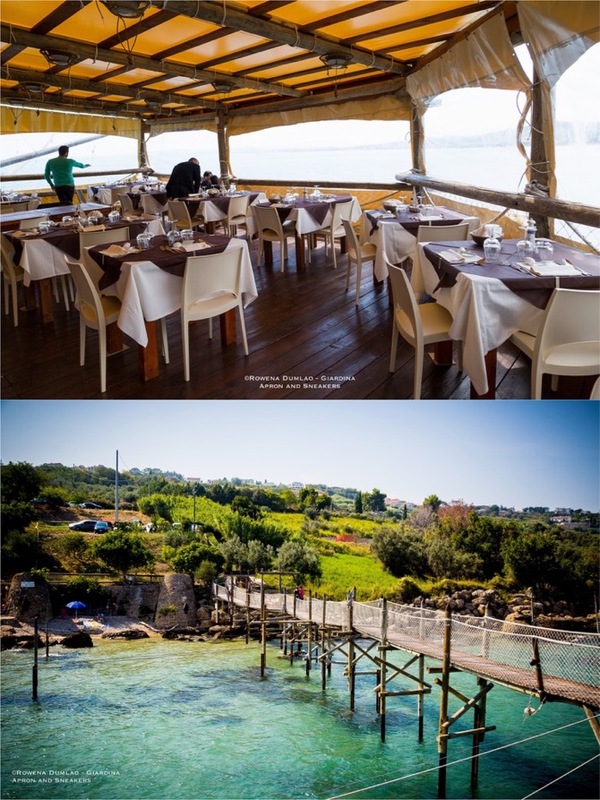 Dining at Trabocco Cungarelle on a clear sunny day is a spectacular experience. 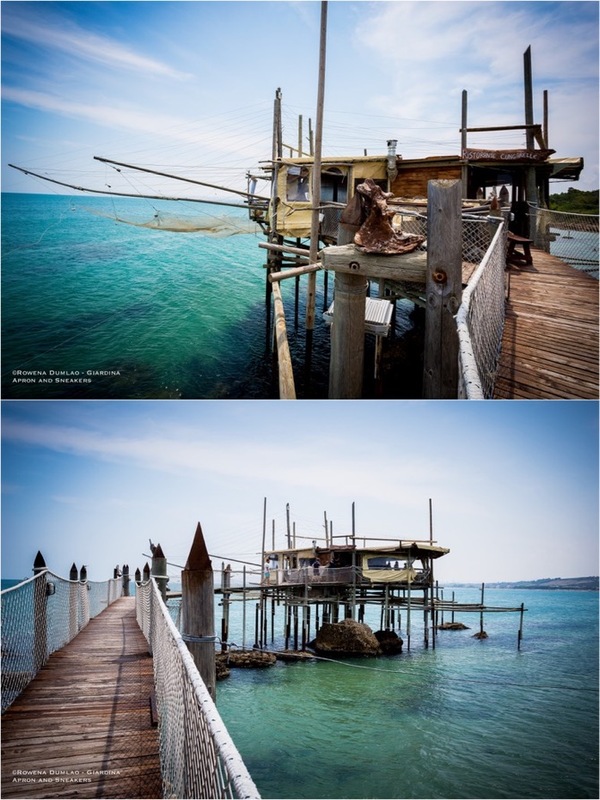 Everything is open to give emphasis to the panorama surrounding the trabocco at 360 degrees. 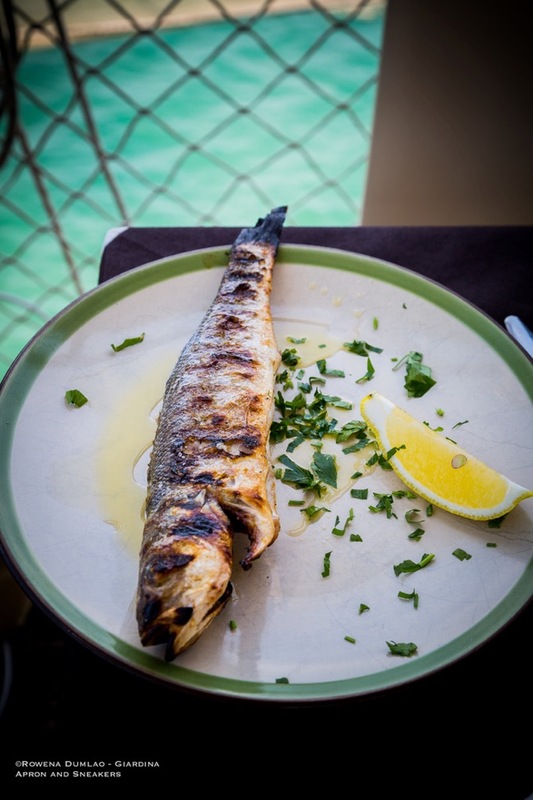 Even when you look down to the water, you can see some schools of fish swimming around. 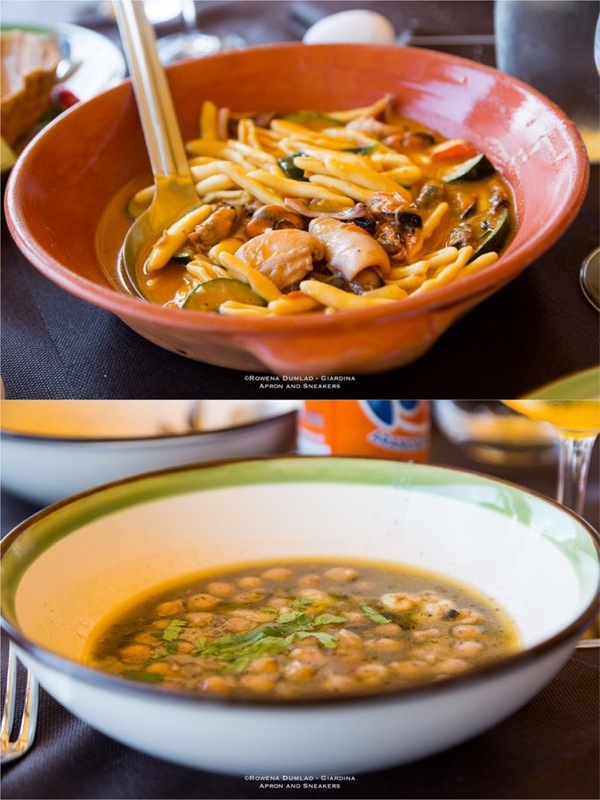 It's a different kind of experience that's quite unique in Italy, which is reminiscent of a tropical island somewhere far. 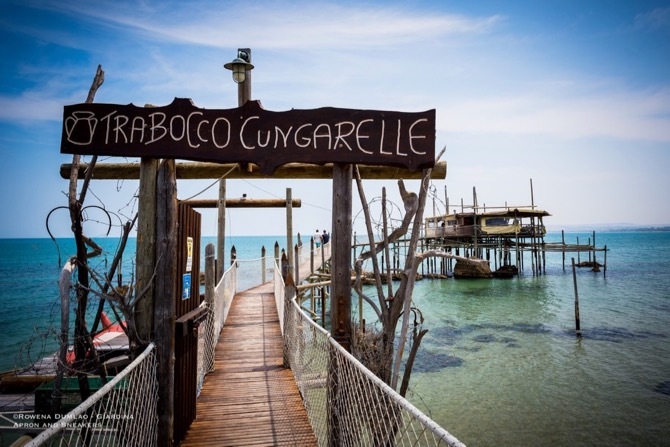 The trabocchi along the Traboccchi Coastline have gained so much popularity over the years and Cungarelle is one of the most frequented ones so book much ahead to get a table. 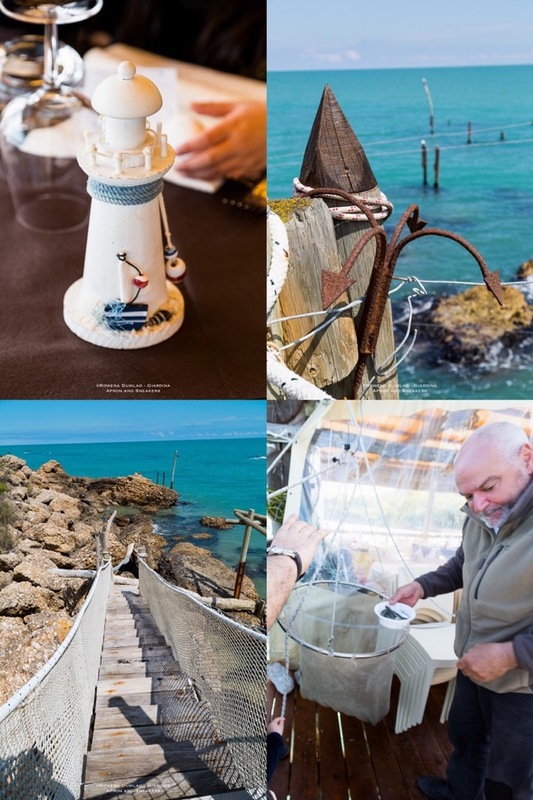 Open daily from Easter weekend until September for lunch and dinner while it closes in winter. 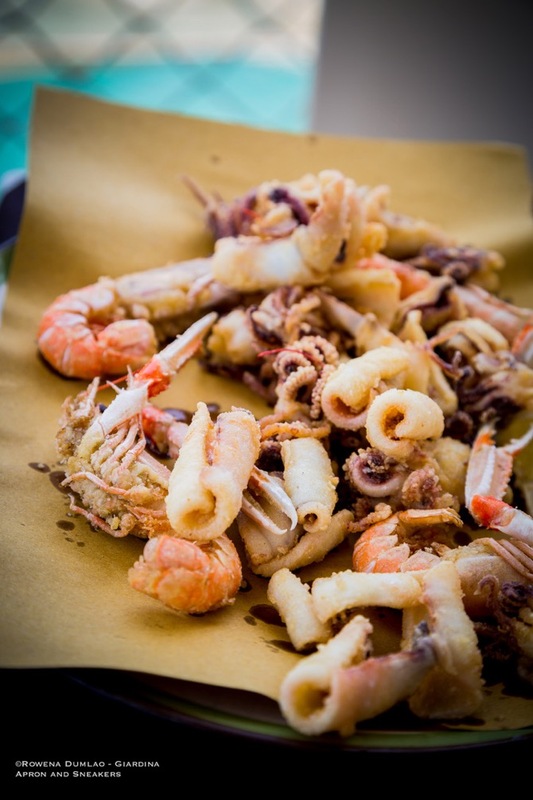 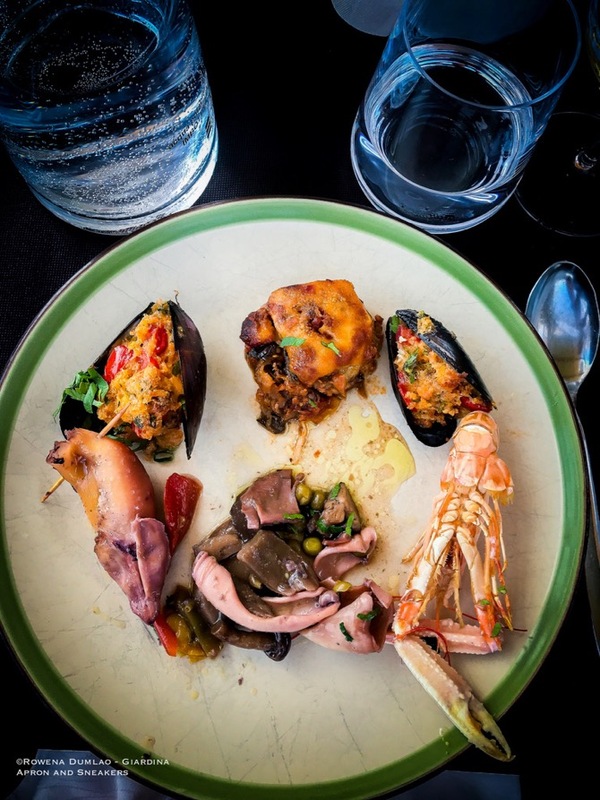 The menu is set at €50 per person that comprises a series of appetizers, pasta, main course with vegetable side dish, fruits with sorbetto and coffee or amaro. 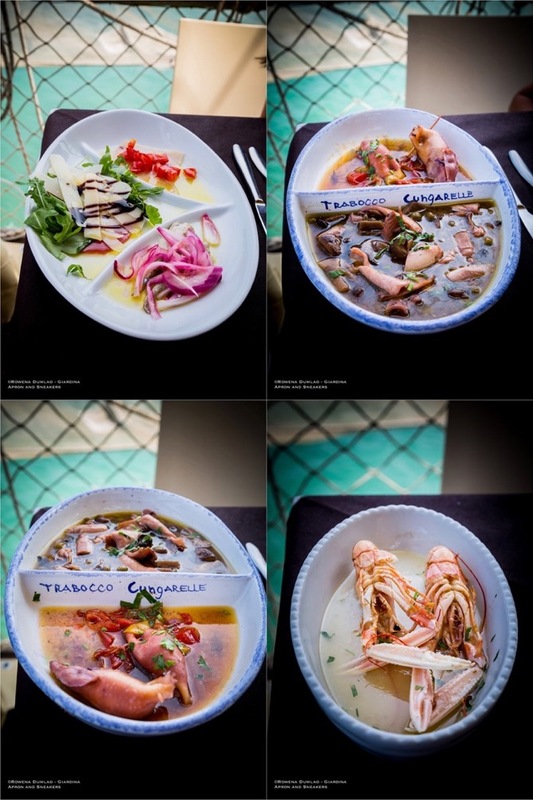 With the set menu for the day, everyone gets the same kind of plate. 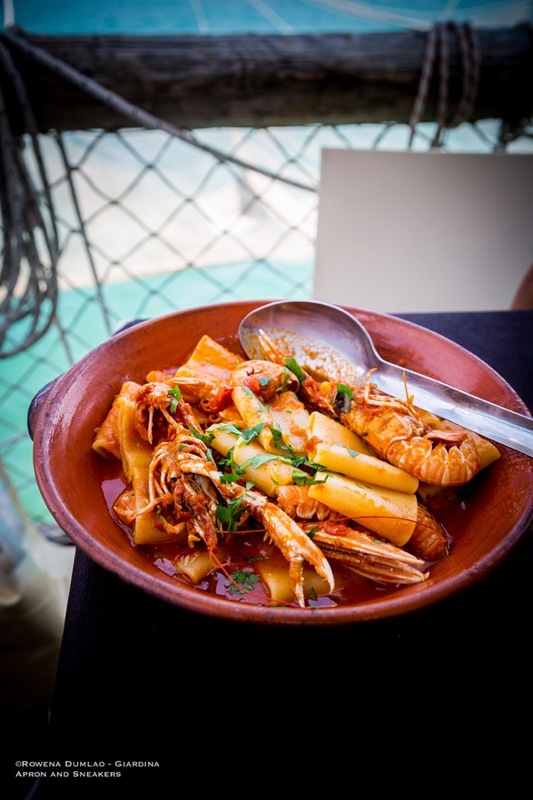 Upon earlier request, the pasta and main dish can be substituted with the Brodetto alla Vastese, a seafood broth typical of Vasto. 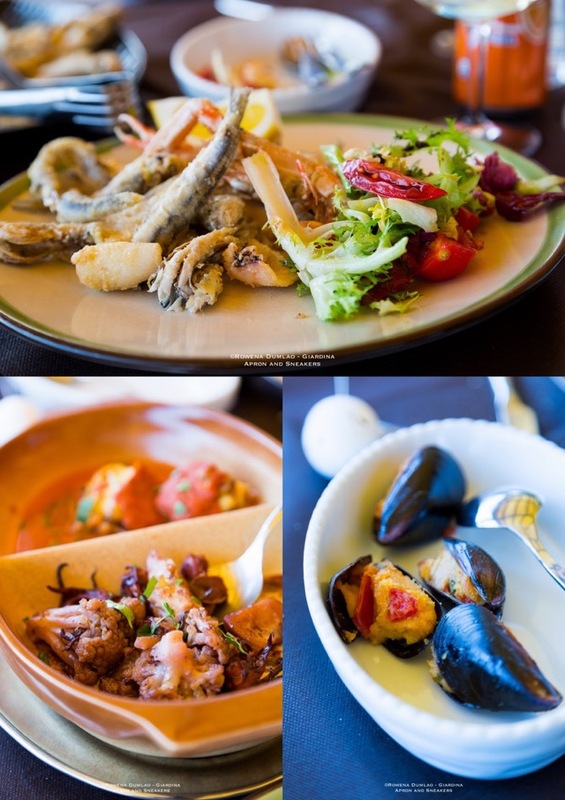 There is also an option for a reduced price of €35 that excludes the main course on weekday lunches. 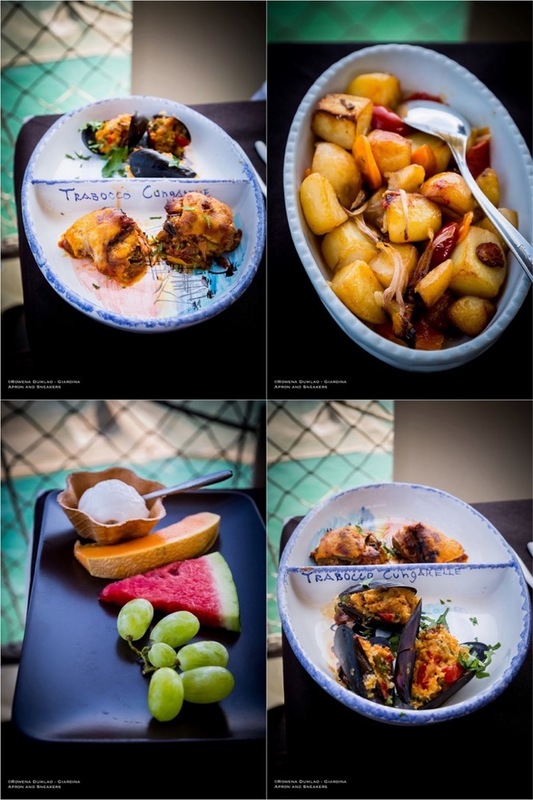 The children's menu is €25 for a plate of pasta, main course, and fruits with sorbetto. 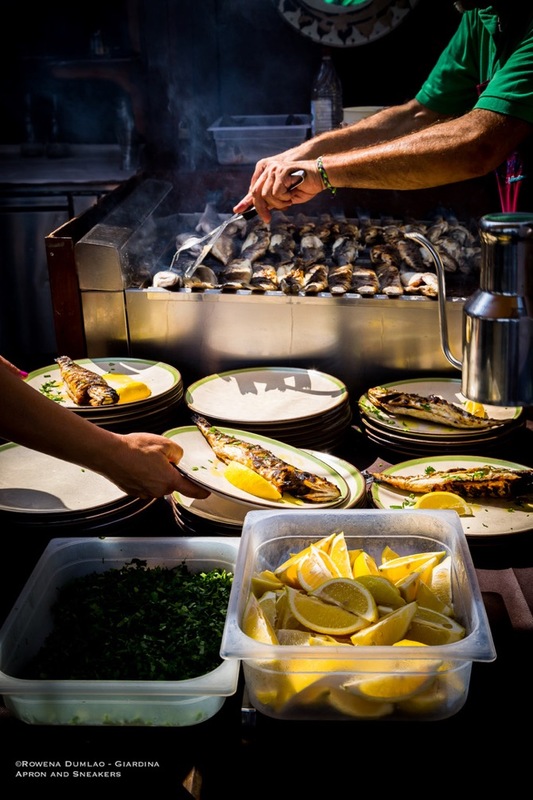 For more accuracy about opening times and prices, check their site.